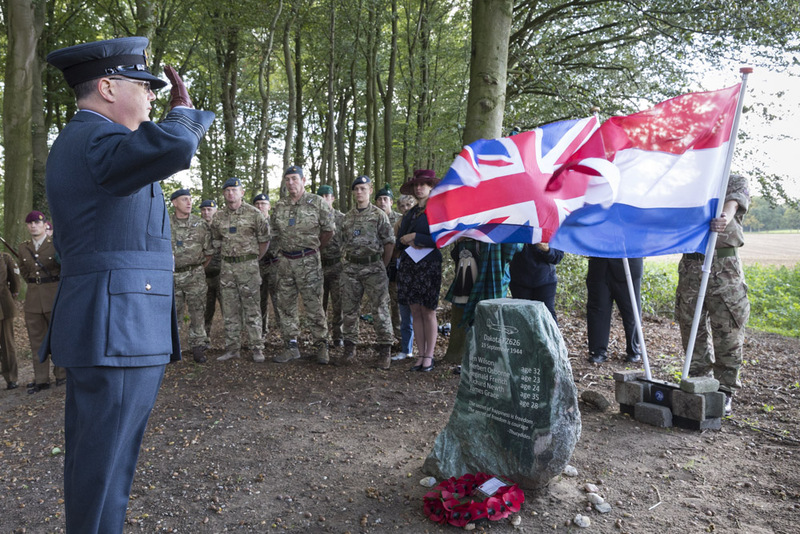 On 19 September 1944 Dakota FZ626 of RAF 271 Squadron crashed while on a re-supply mission during the Battle of Arnhem. 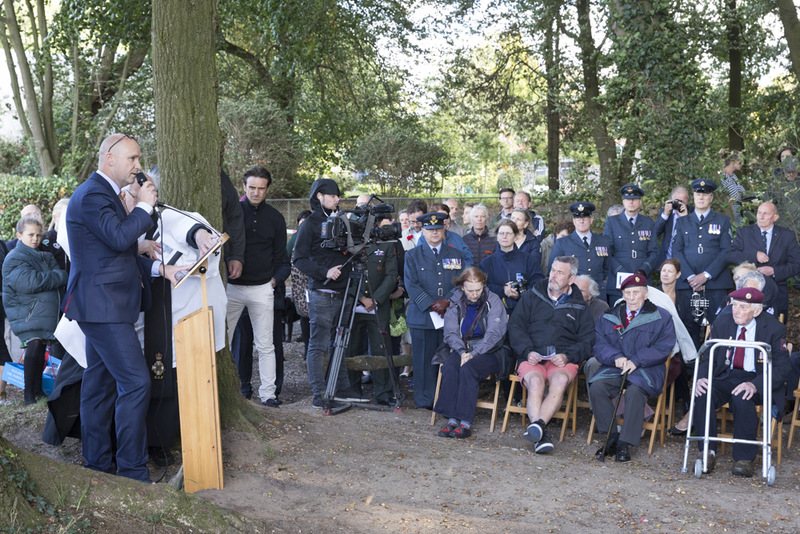 The aircraft was hit by German FLAK on Supply Drop Zone V North of the Schelmseweg in Arnhem. 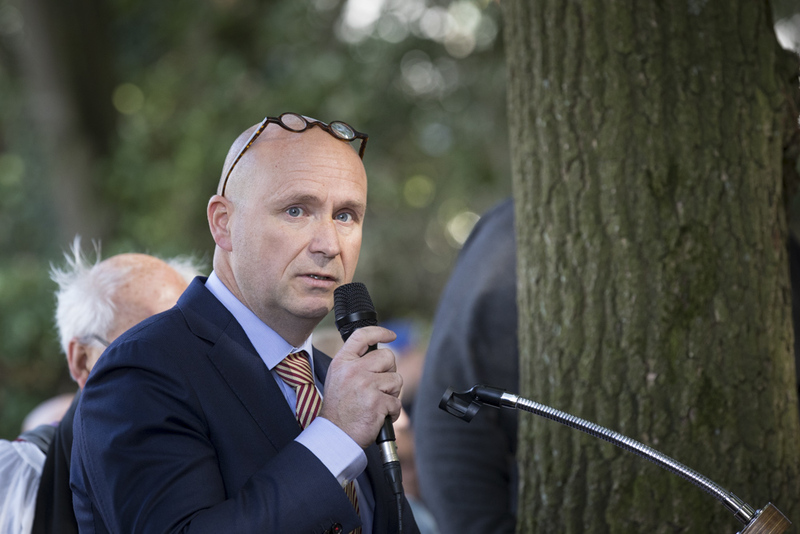 Pilot P/O J.L. 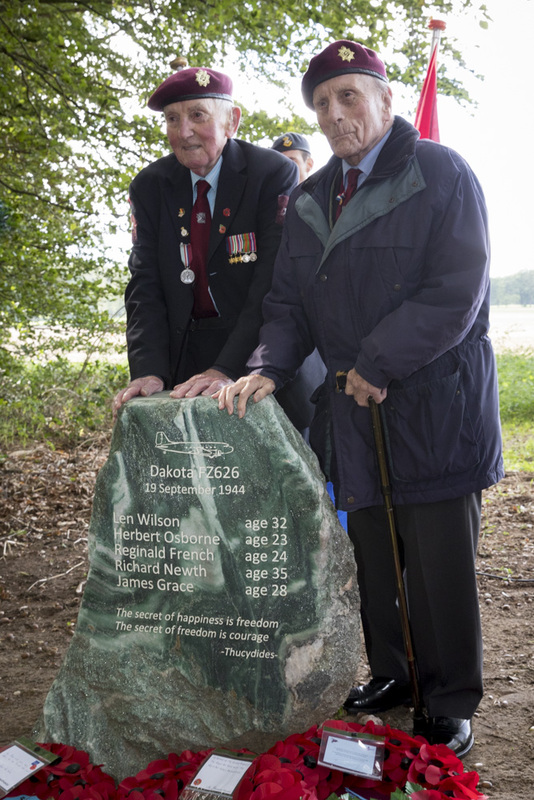 (Len) Wilson tried to crash-land his aircraft on a FLAK-position; Wilson hit an AA-gun in doing so. 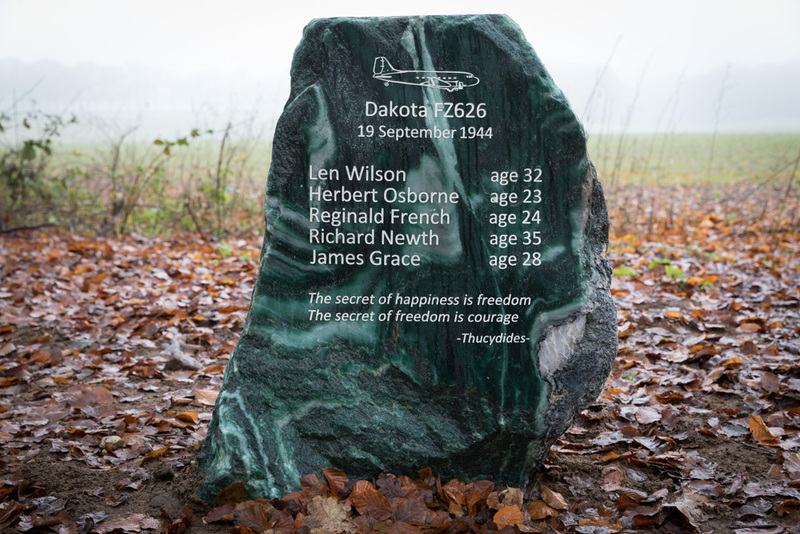 Five crew members of the Dakota perished. 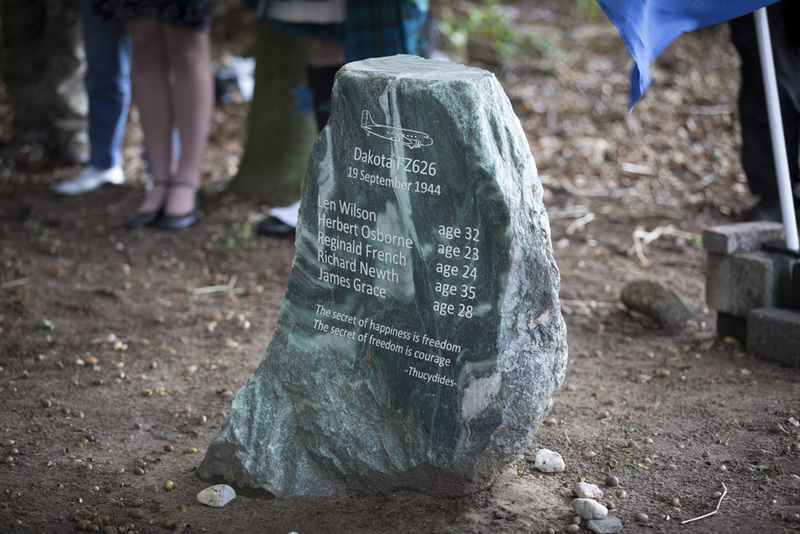 Late 2017 a memorial was erected in remembrance of the fallen crew members. 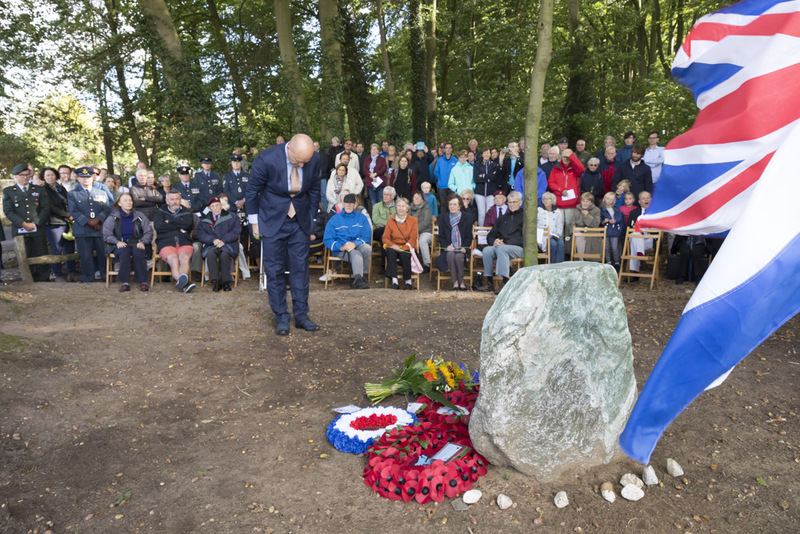 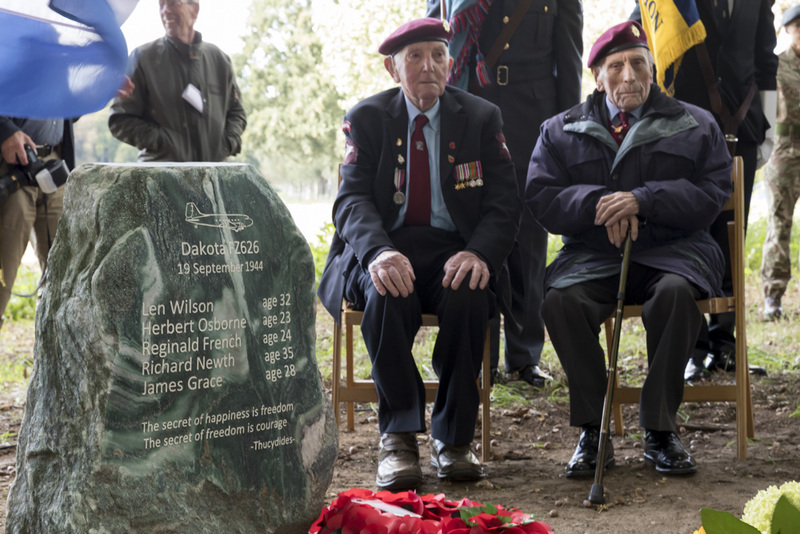 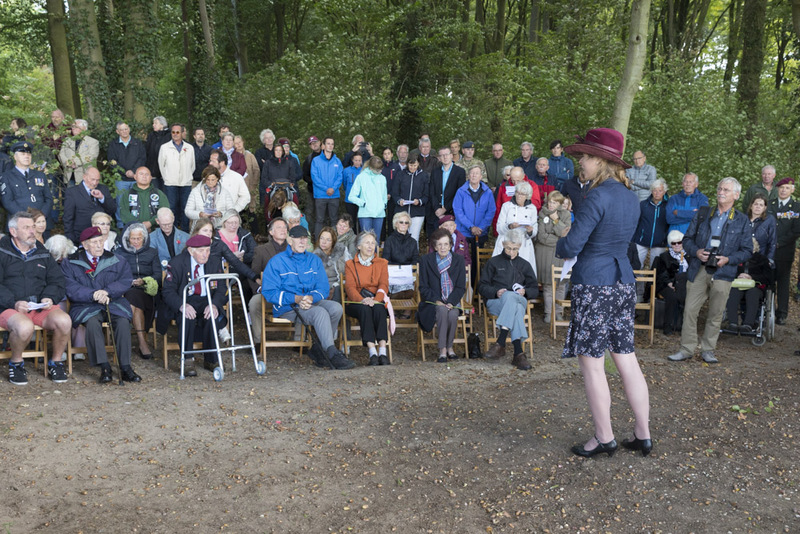 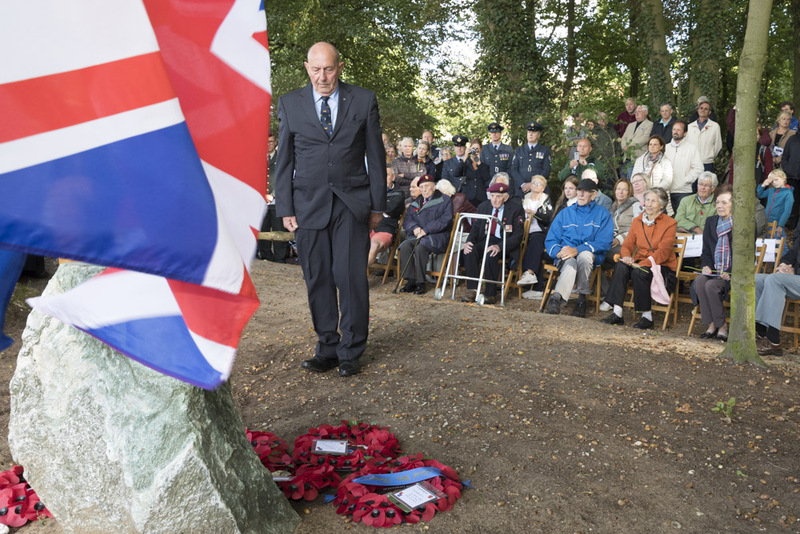 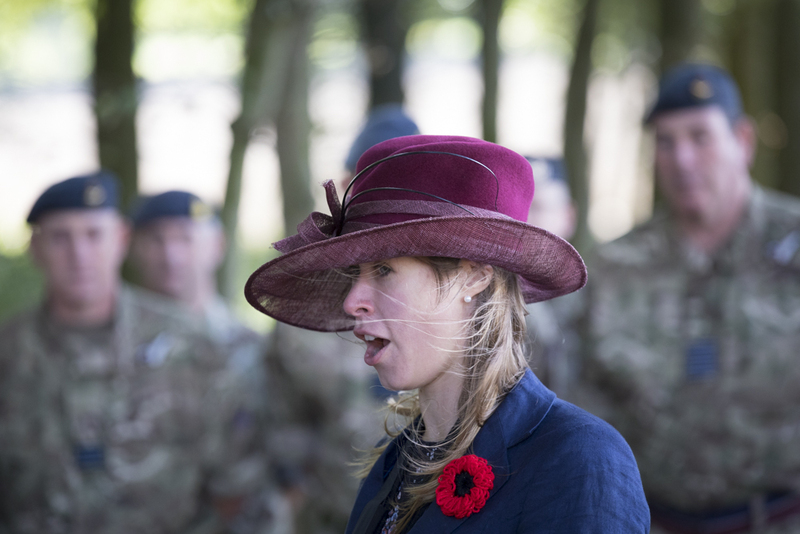 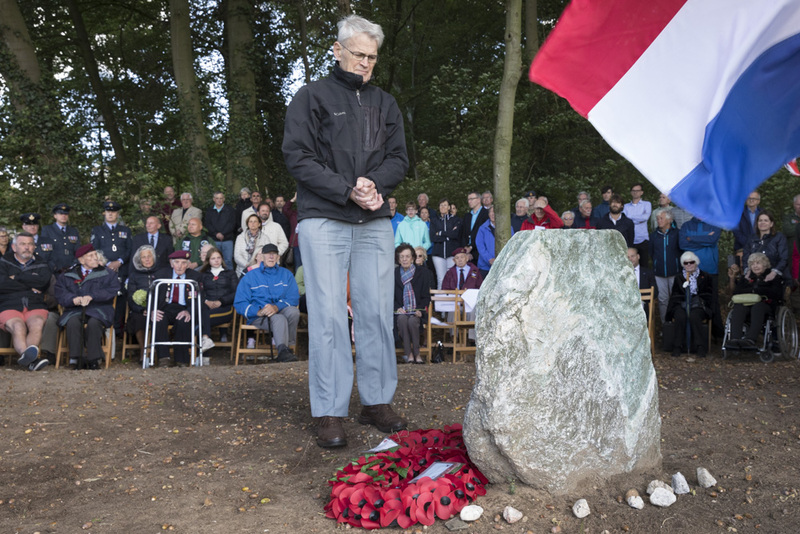 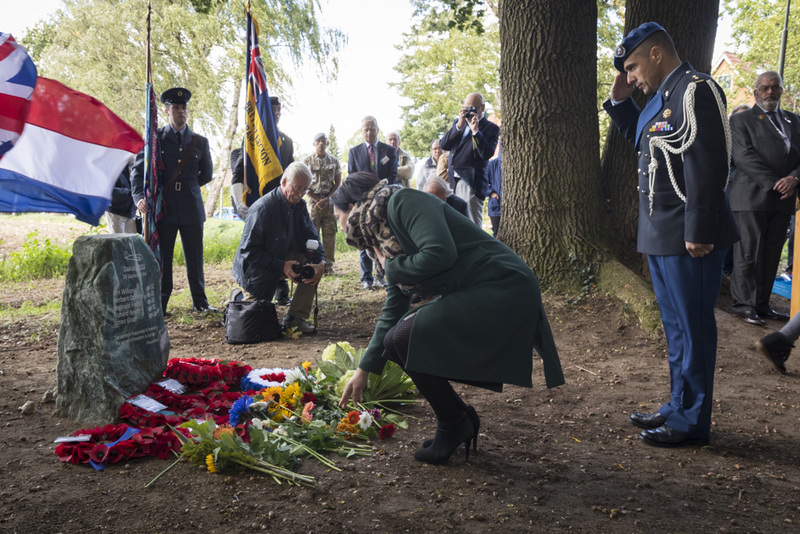 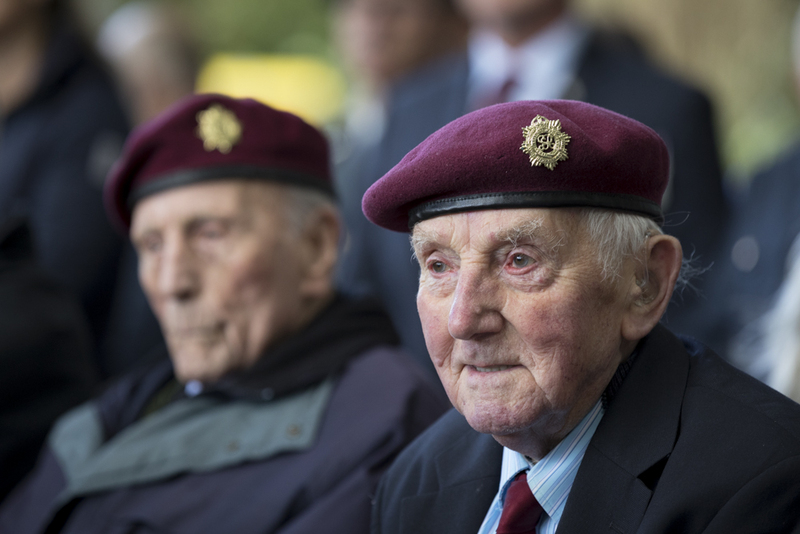 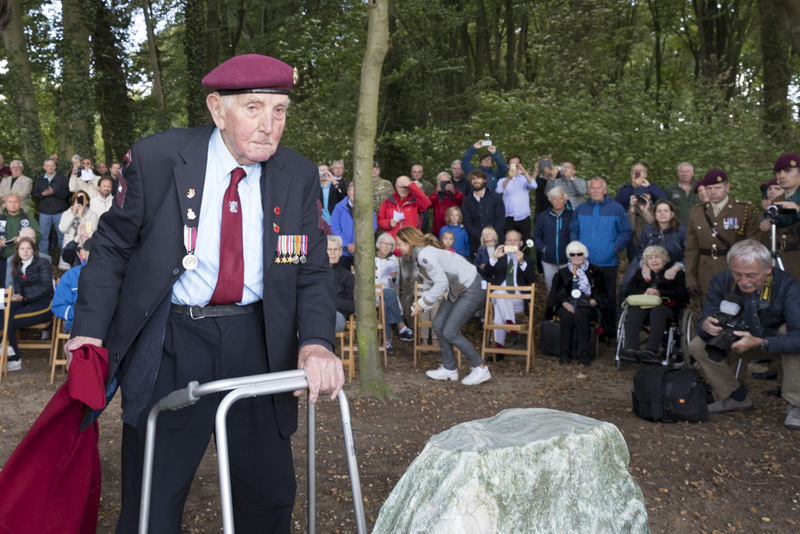 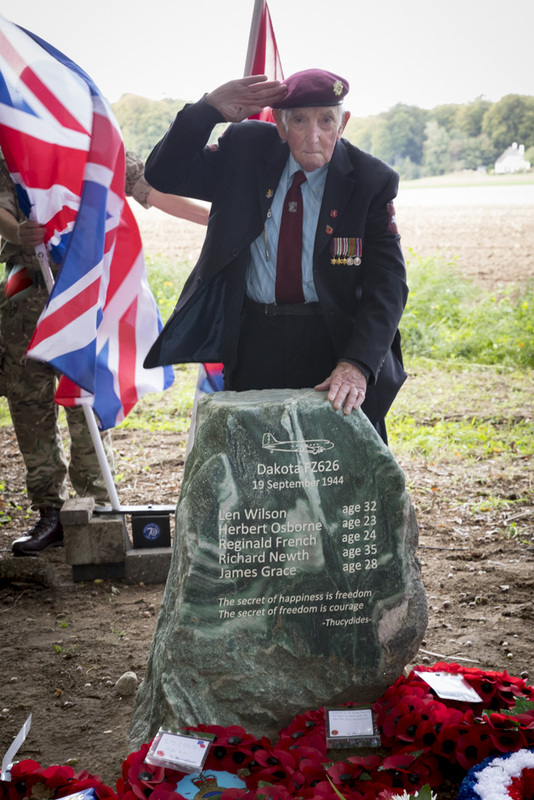 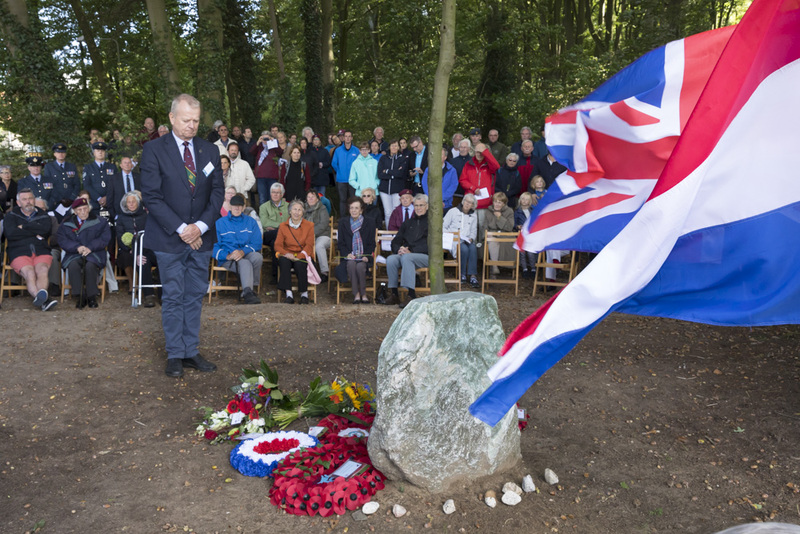 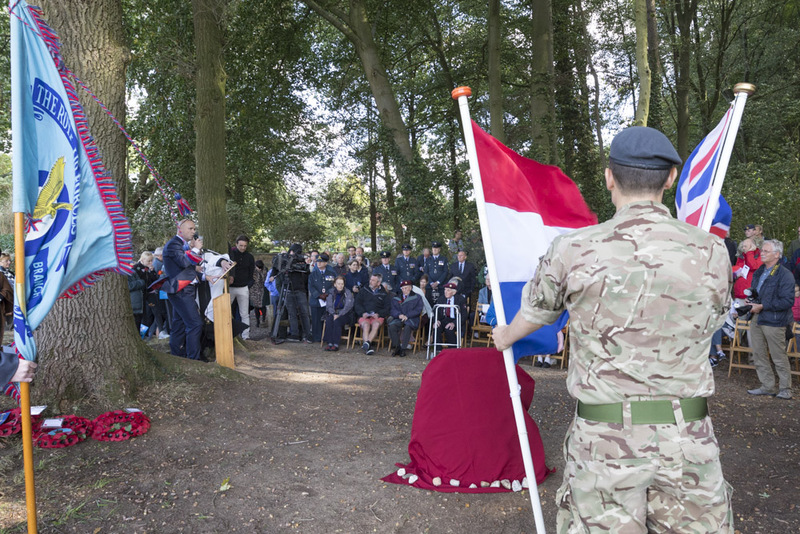 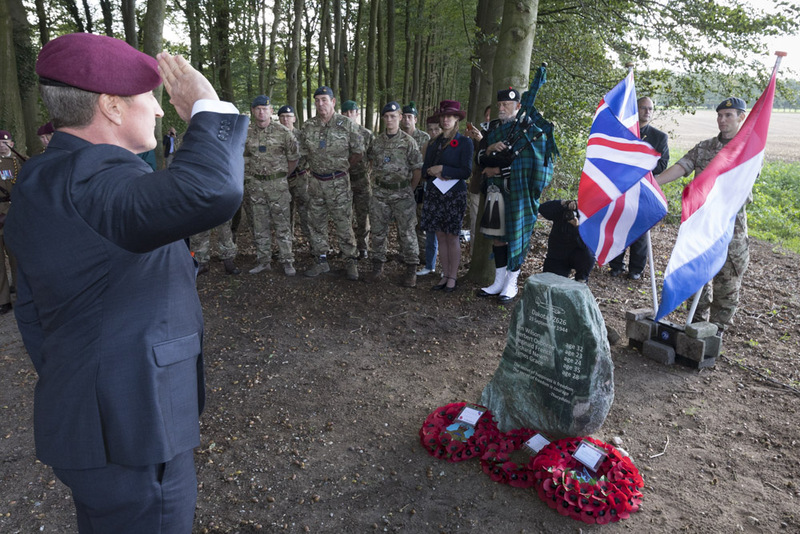 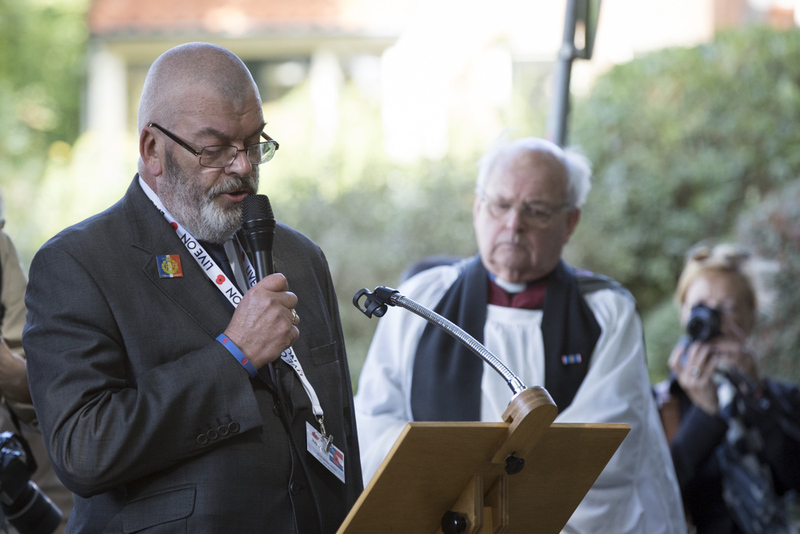 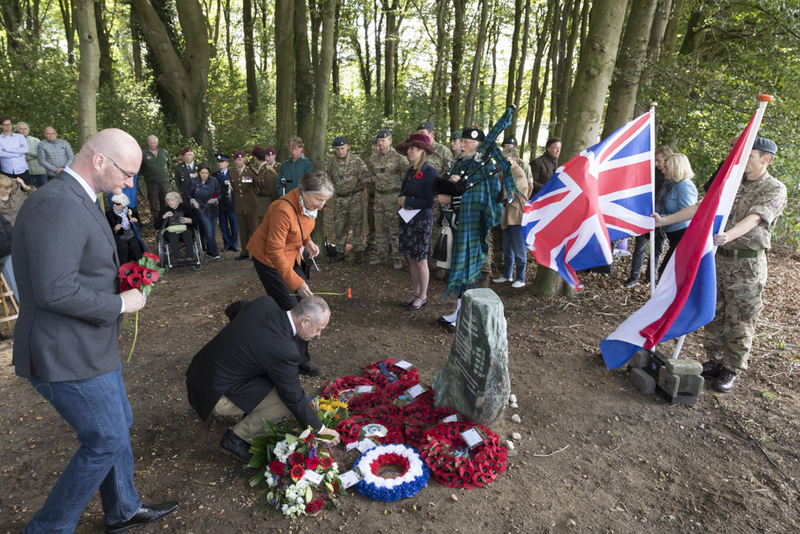 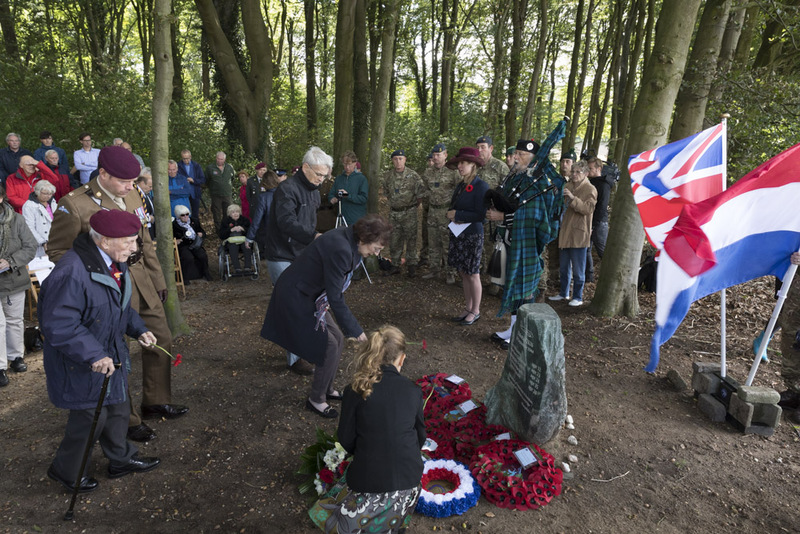 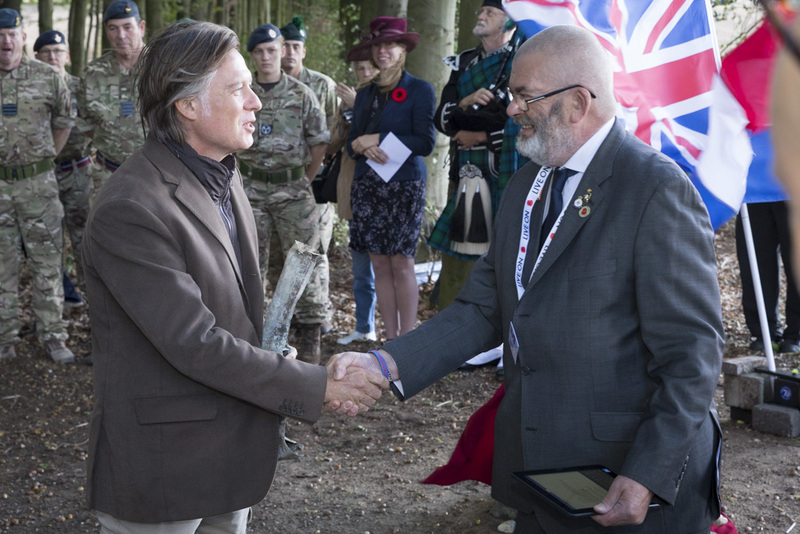 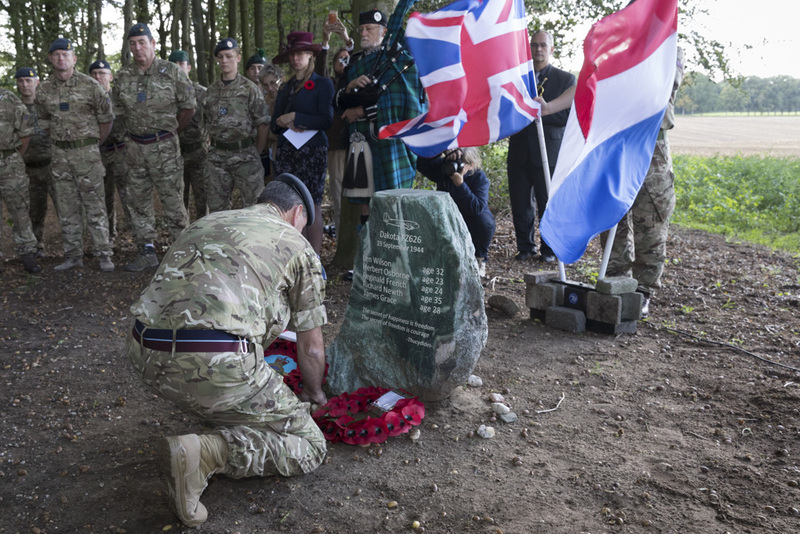 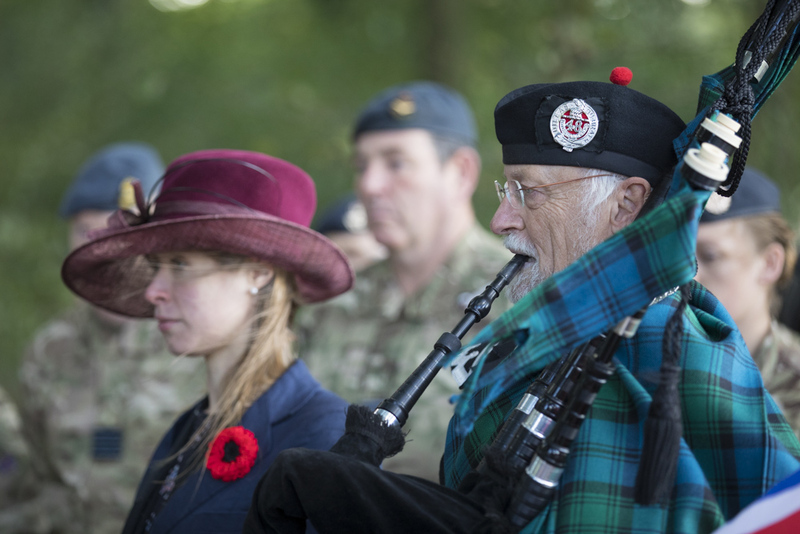 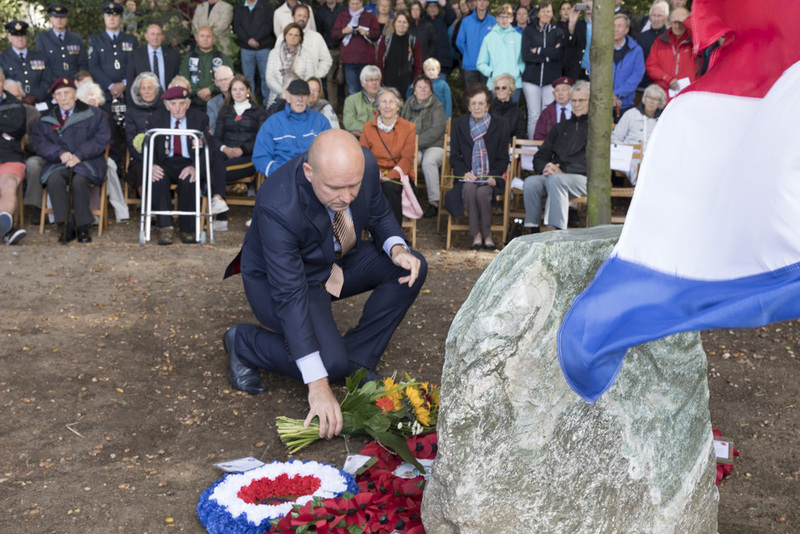 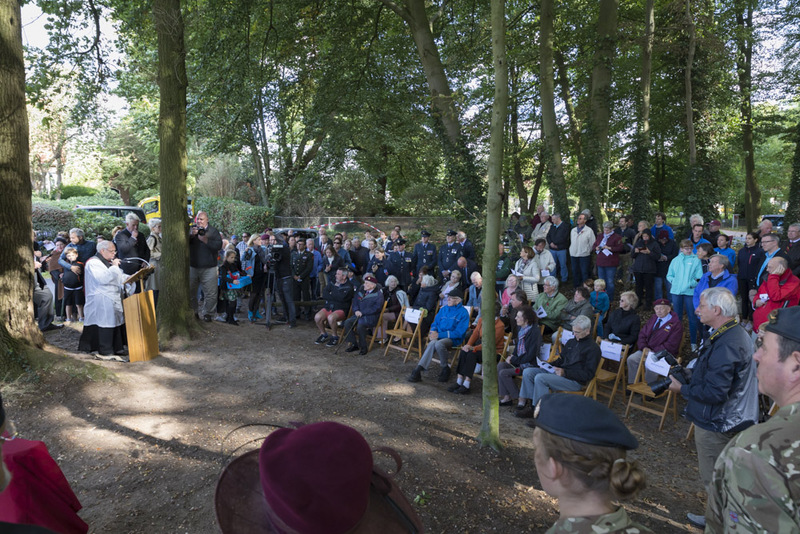 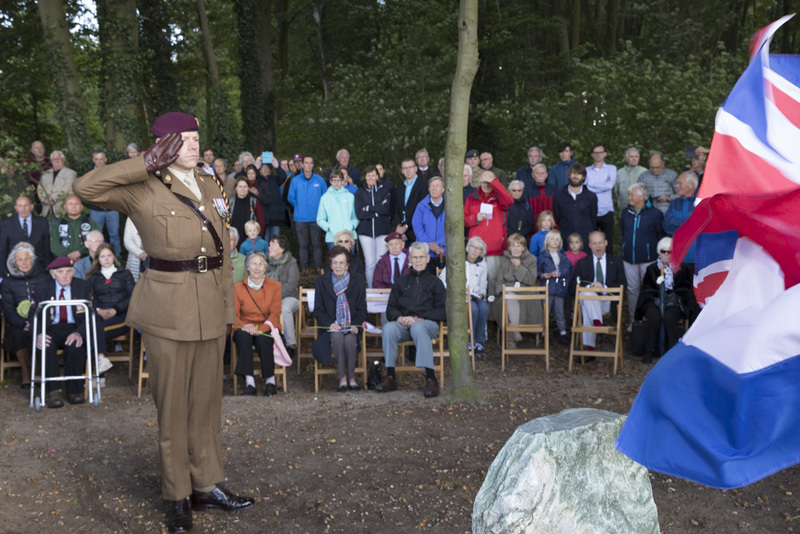 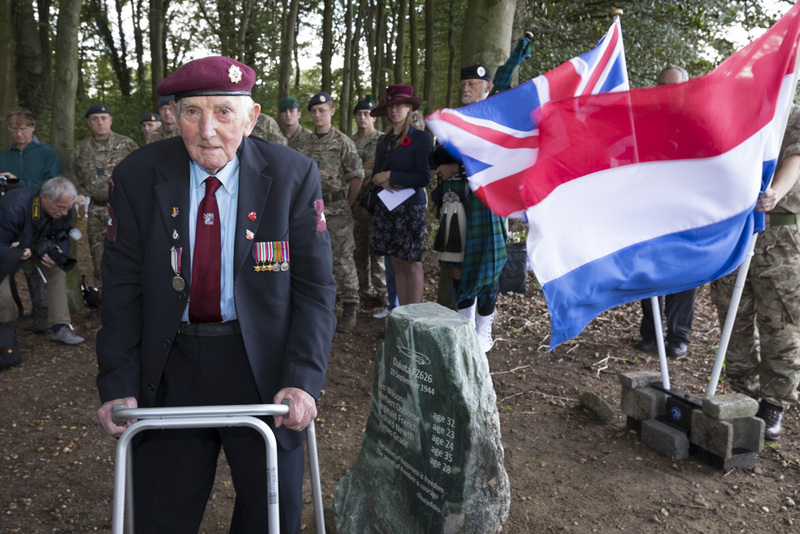 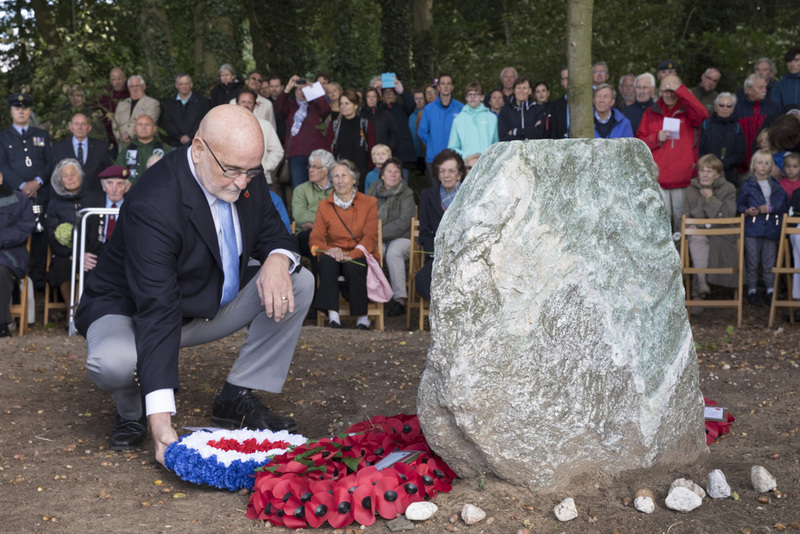 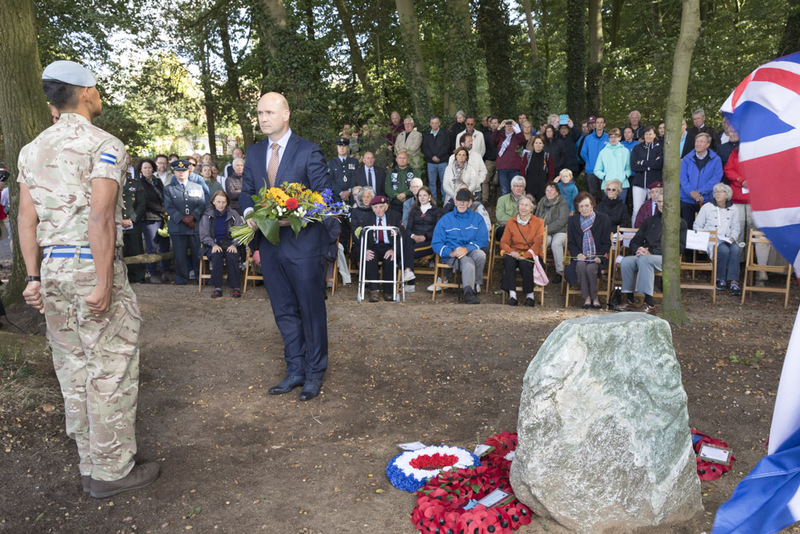 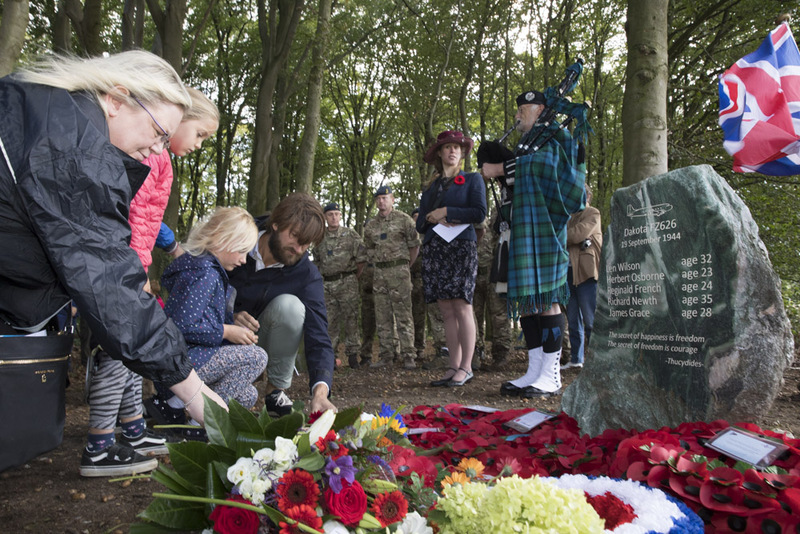 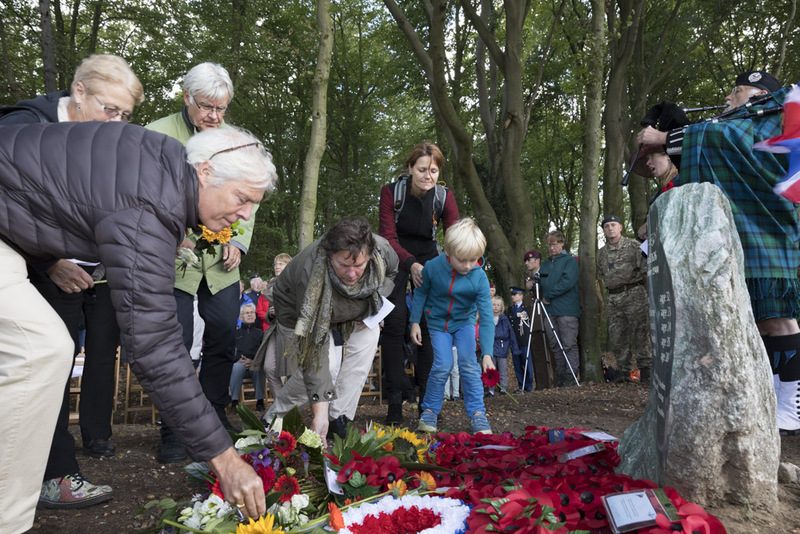 On Friday 21 September 2018 this memorial was unveiled with two Arnhem veterans attending: Ray Whitwell and Sid Salis. 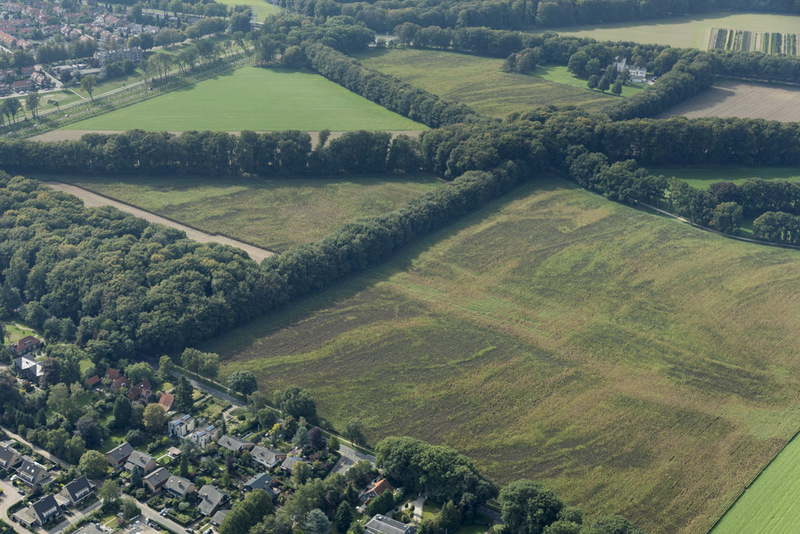 Aerial view of Supply dropping zone V. The location of the memorial is on the left side of the picture. 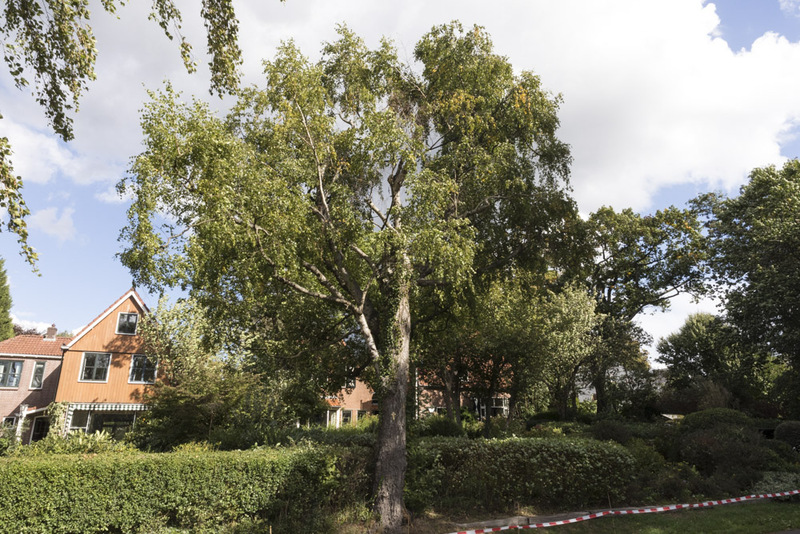 The tree in front of Bakenbersgeweg 262 is still showing evidence of the crash.